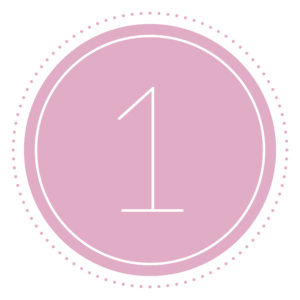 Hey there, Tulsa Wedding Society followers- Thanks for visiting our blog again! 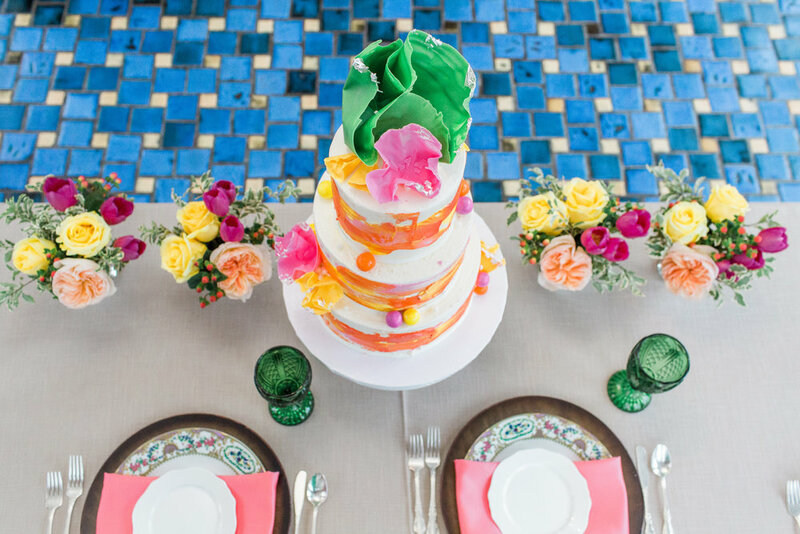 This week we wanted to share with you what happens when experienced wedding professionals get together to create something we call design “eye-candy”. 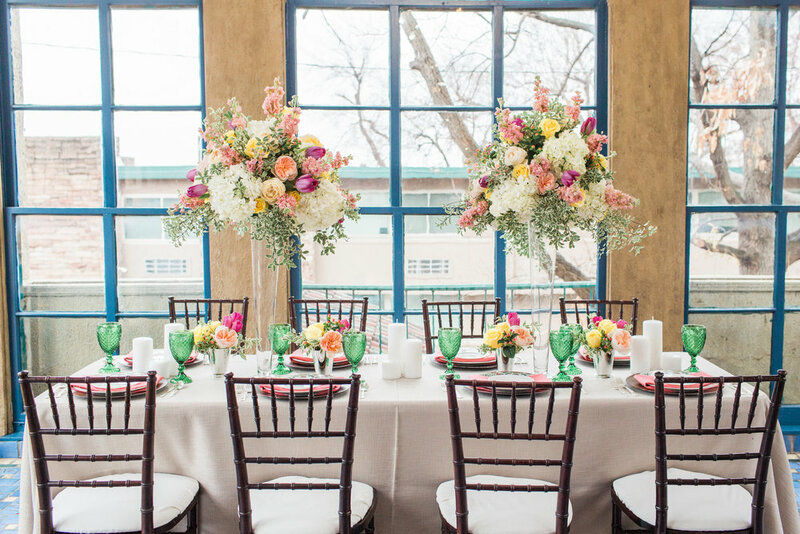 Back in January, Dresser Mansion held an Open House at their historic venue where Tulsa wedding professional were invited to come and visit with brides & grooms about wedding planning. 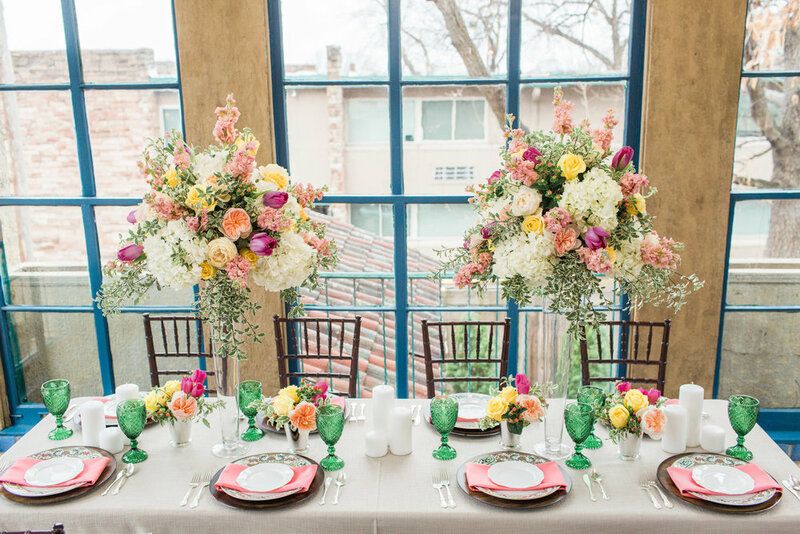 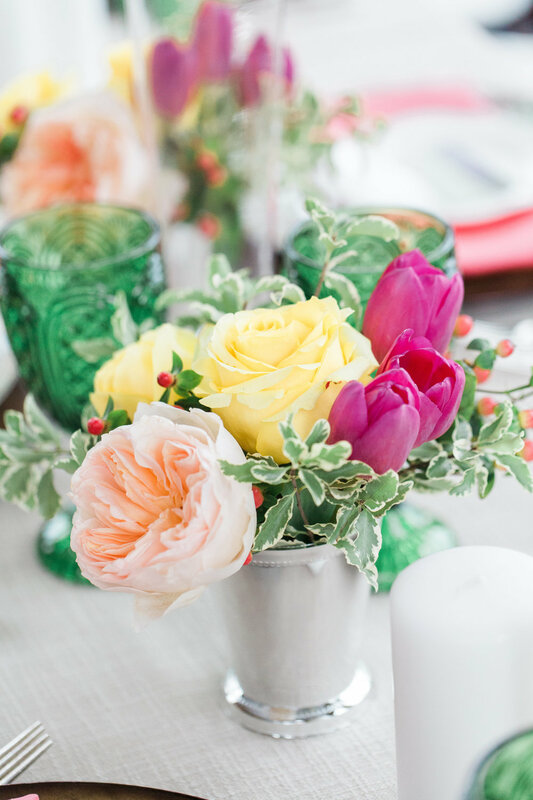 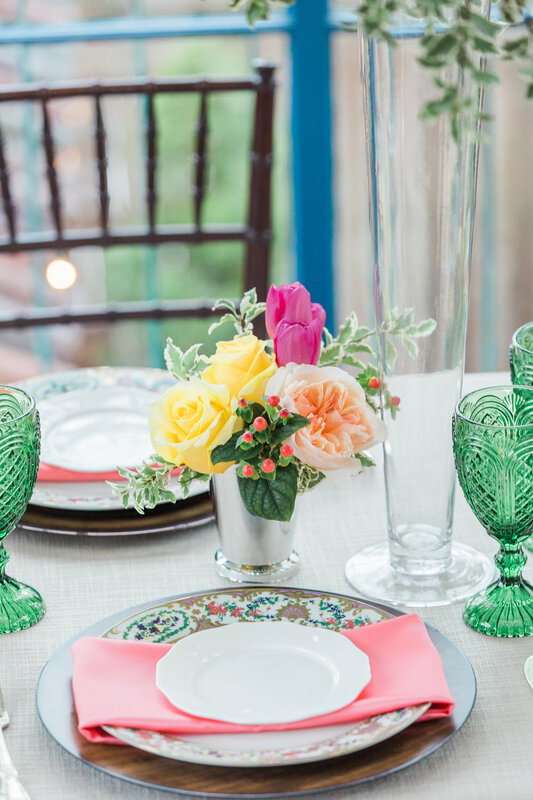 Some of our members of The Tulsa Wedding Society got together to design a tablescape set up that turned into an impromptu styled shoot and the results were exciting and visually outstanding. 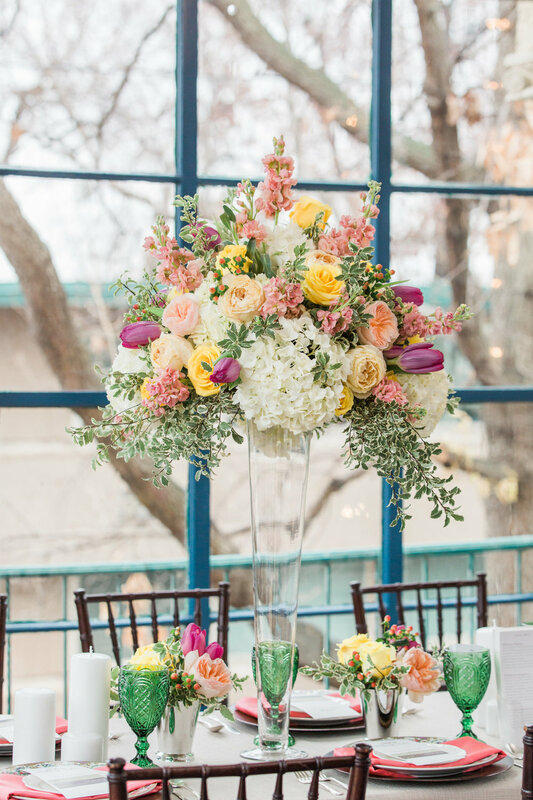 Bethany Faber, a wedding planner of Bethany Faber Events, who also represents Dresser Mansion as their venue coordinator contacted wedding floral designer Mandy Miller, of Divine Designs by Mandy to provide fresh floral designs for the attendees of the open house to view and enjoy. 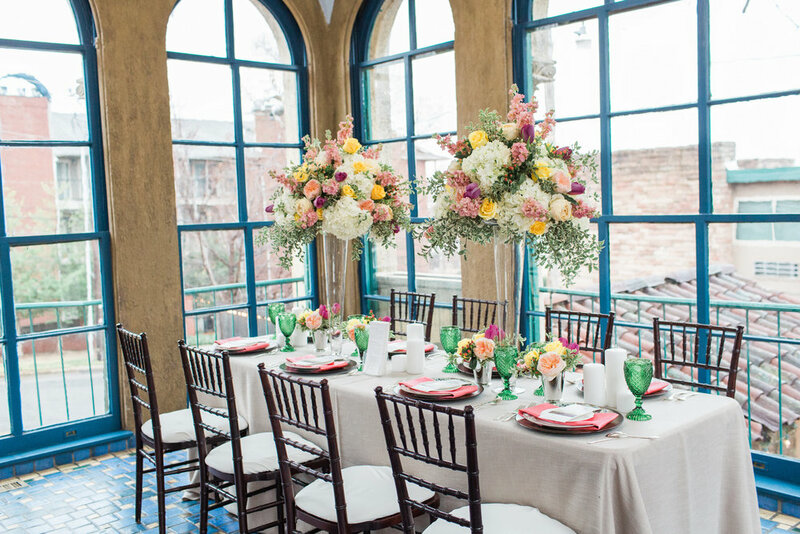 The success of their collaboration began with excellent communication regarding the execution of the design plan and was carried out beautifully due to the like mindedness of their taste & style. 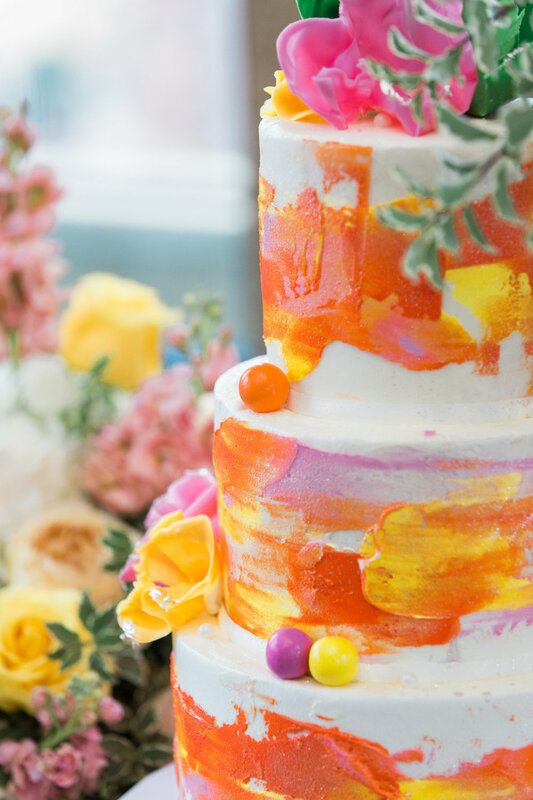 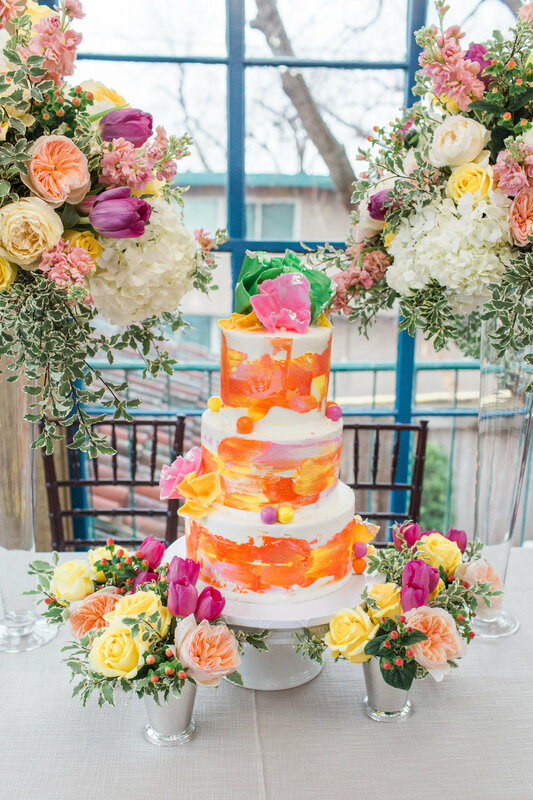 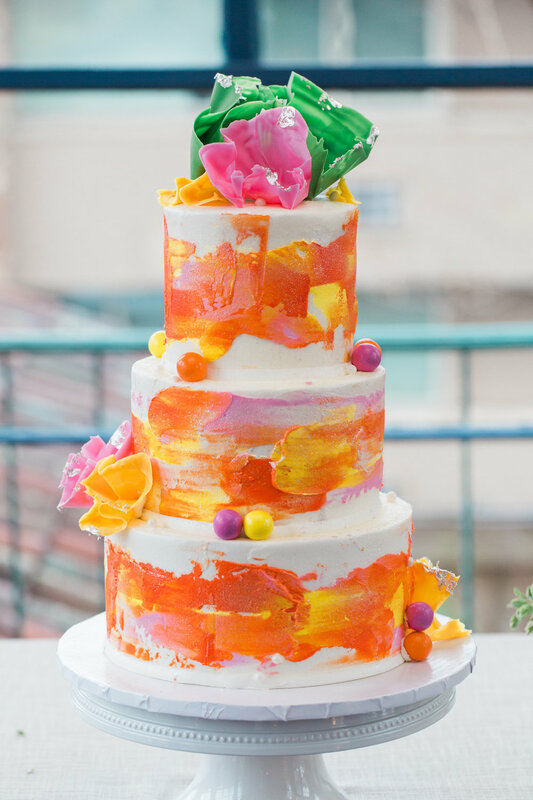 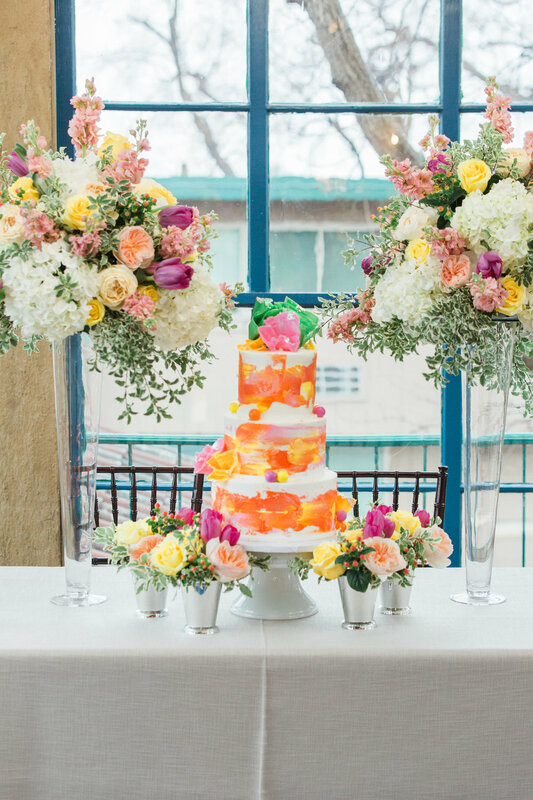 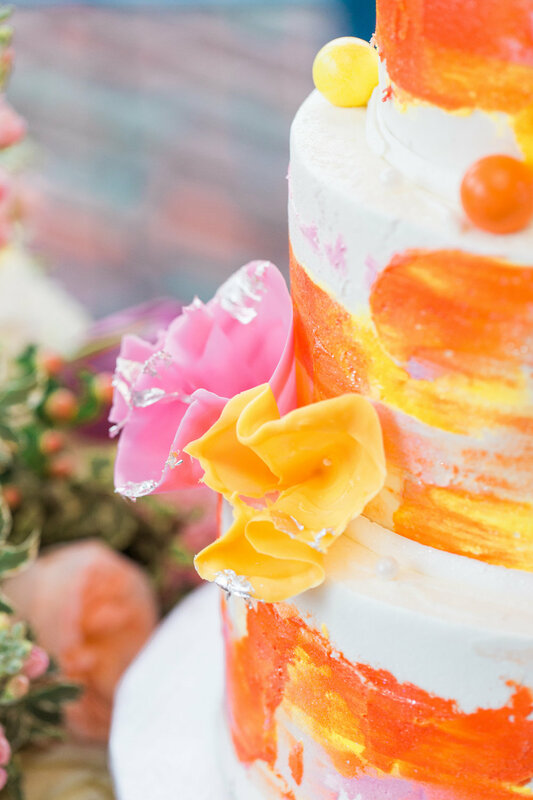 Add a beautifully crafted, artistic wedding cake from Laura Talbot of Ms. Laura’s Cakes, and “Viola” folks, you’ve got an amazing collaboration. 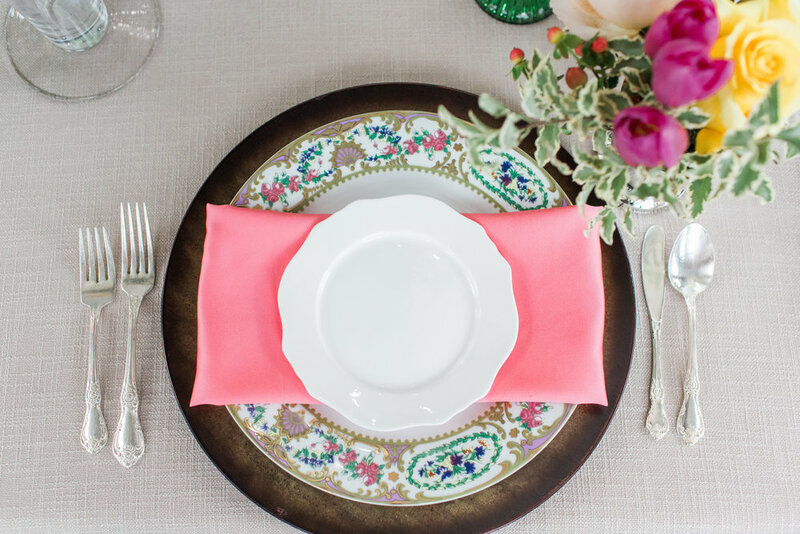 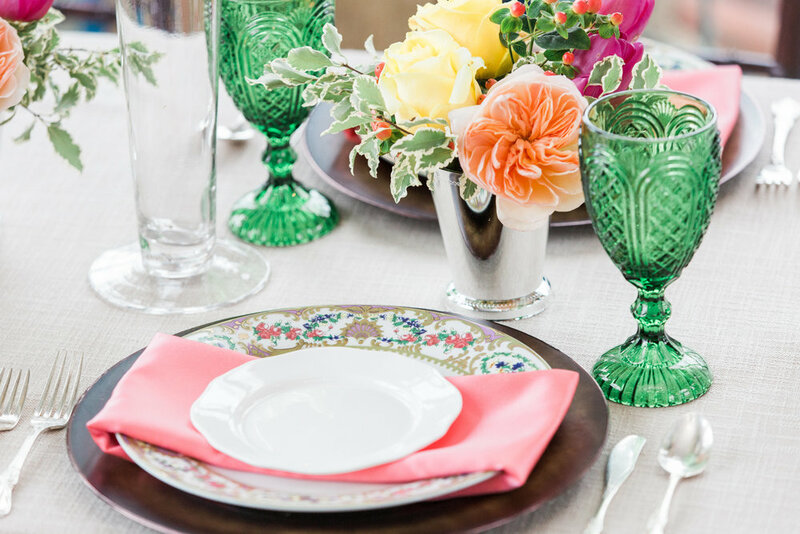 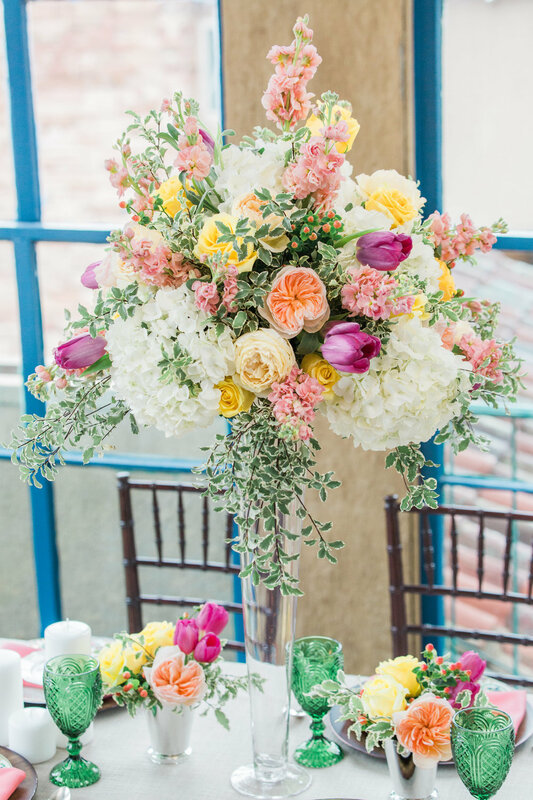 Fortunately for us, the talented wedding photographer Andi Bravo was onsite that day and she happily agreed to document photos of the gorgeous results of the collective design.